Many Christians overplay the importance of God's specific will, while underestimating the value of God's universal will. If it was portrayed in a Venn diagram, the two circles would be practically sitting on top of each other. How can that be? Here's how. We're all supposed to do the Bible stuff. And there's a lot of it. God's will for all of us includes loving God, loving others, being worshippers, telling the truth and so on. So, 90 percent of what God wants us to do is the same for all of us. On the other side, God's will never includes an exemption from character traits like integrity, or an allowance for cruelty. So, 90 percent of what we're not supposed to do is the same for everyone, too. Between the do's and the don'ts, the overwhelming majority of God's will is the same for everyone. So why do so many believers get all stressed out about finding God's will for their life? I believe it's because most of us tend to overplay the importance of God's specific will for our life, while underestimating the value of knowing and doing God's universal will for all our lives. We often want to skip past the 90 percent (the Essentials) and jump straight to the 10 percent (the Specifics). 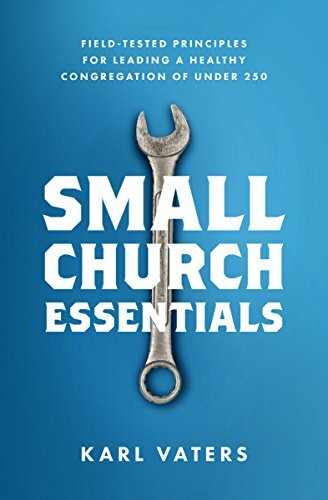 Most Christians don't want to skip the Essentials entirely. But we'd love it if we could skim through a summarized version of them. Some of our misunderstandings about this come from lack of good teaching. Some from unintentionally bad teaching. And some is the unforeseen, but inevitable result of preachers and teachers who play to the tell-me-how-awesome-I-am echo chamber. It’s ego. We've been told so many times how special we are, that we tend to forget how much we have in common. But no one will ever find the Specifics until they're fully invested in the Essentials. We don’t get to skim that part. Finding God's will is not as hard as we make it. We just need to start taking the 90 percent more seriously. Always. No matter how long we’ve been a Christian, how mature we are, or how big our ministry is. We never outgrow the need to live a life that exudes the Fruit of the Spirit. Thankfully, once we start doing the 90 percent, it usually opens us up to seeing the 10 percent more clearly. And even if it doesn't, when we do the 90 percent faithfully, it becomes 100 percent of God’s will for us. There are so many faithful believers living Godly lives that very few others will ever consider unique, different or special. But that's okay. Jesus never asked us to be unique. He told us to be faithful. And that alone will make us different.